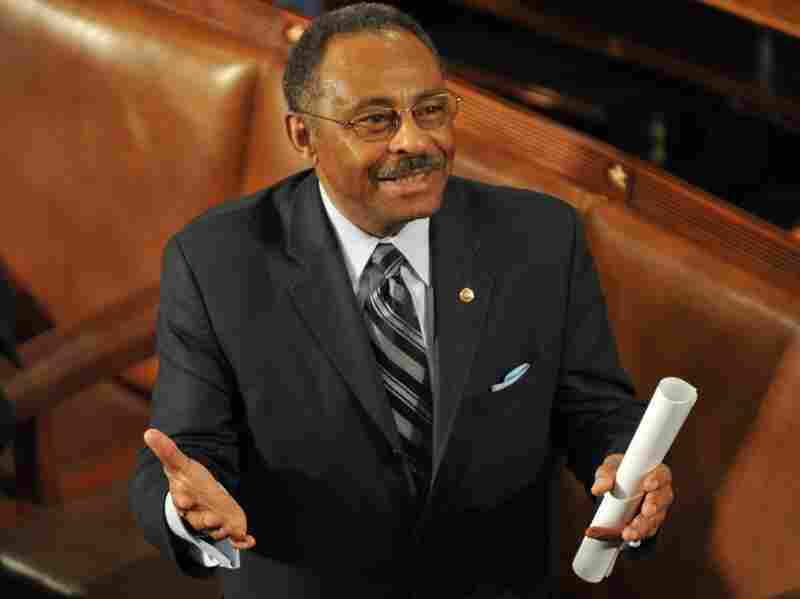 The Root: Who Will Be The Next Black Senator Roland Burris, the outgoing senator from Illinois, made his final speech on the floor of the senate last week. In it he pointed out that upon his exit, the Senate would be without a single African-American member. Lenny McAllister of The Root argues that it is important for blacks in America to see themselves represented at all of the highest levels of government. Lenny McAllister is a syndicated political commentator and the host of the morning radio show Launching Chicago With Lenny McAllister on WVON, The Talk of Chicago 1690 AM. For a senator whose noteworthy place in American history is being the guy who replaced a future president by way of a governor who was headed to public scorn (and possibly prison), Roland Burris left the U.S. Senate with an image to remember -- and a message to heed. As Burris (D-IL) addressed the Senate floor for the last time on Thursday, he reminded the assembly -- and the nation overall -- that the legislative body would once again be without an African American member. "When the 112th Congress is sworn in this coming January, there will not be a single black American who takes the oath of office in this chamber. This is simply unacceptable," said Burris. Yes, the Senate has a new Latino (Florida's rising star, Marco Rubio) coming into the fold, and the 112th Congress will convene under the leadership of America's first black president. Those facts, along with the recent addition of two black Republicans to the House of Representatives, provide an interesting context of ethnic and political diversity for Burris' plea, and raise this question: Is it really that important for black Americans to have one of their own in the Senate in the age of Obama? Burris' statement would indicate that, at the very least, the question should be considered. Because African Americans tend to weigh in differently than whites on issues such as the war in Afghanistan and "Don't ask, don't tell," maybe the dearth of black political weight in what is arguably the more powerful legislative branch matters. Or, with the aforementioned political diversity on the rise, perhaps it does not. Right now, black folks in America cannot see themselves reflected in the makeup of the Senate. But we should see that reflection, and we should push collectively for the next black senator, regardless of whether that person is a Republican or a Democrat. What matters is how that person connects to his or her own local constituents regardless of race, as well as to black people nationally. Whether we throw into the mix Texas Railroad Commissioner Michael Williams or former Rep. J.C. Watts of Oklahoma from the Republican side or draw from current members of the all-Democrat Congressional Black Caucus, as black Americans we should be able to take pride in seeing a black Senate candidate elected before too long. It is very easy to overlook the importance of our having sound representation at all levels of government. True, effective advocacy is not based on skin color alone. Rep. Charlie Rangel's recent ethics woes only highlight that, as Public Enemy said, " … every brother ain't a brother 'cause a color," at least not in the political sense. However, in an age when black Americans' collective plight is sliding backward and President Obama has only two years left in his first term, it is imperative that we make sure we'll have influence within the stronger legislative chamber, especially since many African Americans in the House reside in cushy congressional districts with little incentive to expand their power. That complacency guarantees us representation but does not provide those representing us with the national resonance in speech or action that seated senators enjoy. Nor does it provide the same general access to the highest levels of leadership. Regardless of our political affiliation, it would be good for us to heed Burris' words. We must add to our political legacy in a way that offers more hope and a larger voice in the national discussion so that all of America is again reflected in the U.S. Senate.